Bernese Mountain Dogs are an old breed. 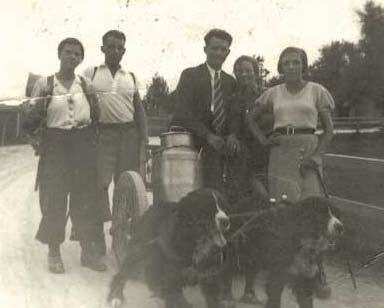 Amore and Dolce’s long ago ancestors were once used as all-purpose farm dogs. Originating from Switzerland long before the time they were recognized as a purebred dog, Berners were used as watchdogs for guarding property and to drive dairy cattle long distances from the farm to up to the alpine pastures. And, they were considered great draft dogs. 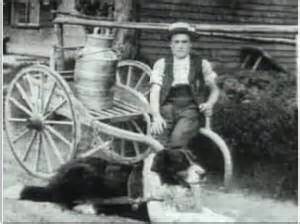 One of their most essential historical tasks was to transport fresh milk, cheese and other farm fresh produce for small farmers pulling carts and small wagons containing the wares to market. 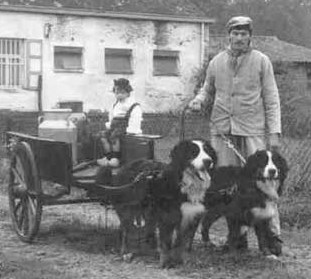 Bernese Mountain Dogs were bred to haul small drays. Like a cowdog’s first instinct is to herd, nipping at the heels of cattle, Berner’s have a predisposition to want to push and pull. Their deep barreled chest and strong upper body strength gives them a solid muscle pack to push against a harness. When Tiamo was a youngster, she started to push her way between our legs, usually from behind. Similar to her forebears, she would thrust her shoulders against Malcolm or my lower limbs, her head slightly down, her front paws digging into the ground for traction. If you were ready for the intrusion, Tiamo would continue to press through, gaining a neck rub and an ear scratch as she emerged on the other side. If you weren’t on the ready, tragic tumbling could befall. We first thought this was some sort of game with her. Her canine way of getting some extra lovin! We came to realize Tiamo was doing what she was bred to do – to push against a harness, to pull her freight. Our legs were her harness. We toyed with the idea of cart training her. We had grand thoughts of her hauling our groceries, or maybe even us, to and from the store. We nixed that thought pretty damn quick. The cost of equipment and training gave that idea an abrupt death. Add the image of another large thing to store and gather dust in the garage and Malcolm and I dropped the cart notion like a hot potato. To her dying day, Tiamo loved to push between our legs to petting victory on the other side. She always won. Her heritage lying deep in her heart, Dolce has the same innate desire to push. In the last couple of years, Dolce has started the same game of pushing between our legs from behind and coming up the victor with scratchin’ and rubbin’ as she pokes her head through. Dolce considers it her duty, when she can make Malcolm or myself move forward ten feet or more. It’s her role even if she gets us to travel less. No matter, she still gets her reward of lovin’ for a job well done. 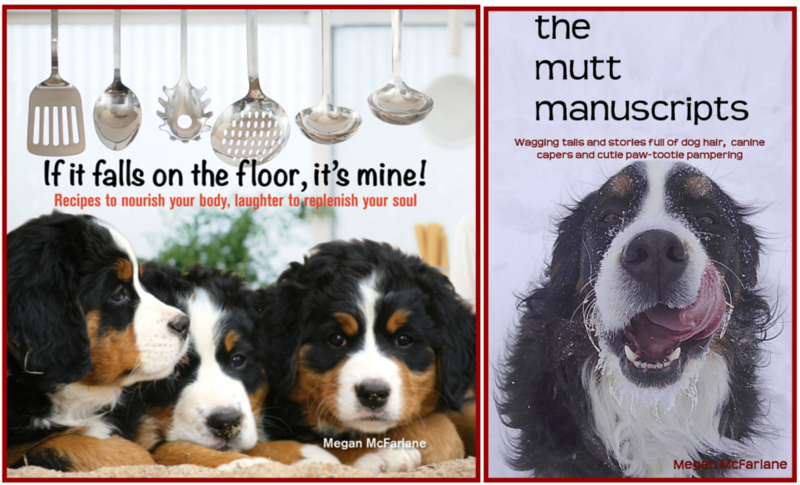 Berners are a breed that has served for generations as helpmates and faithful canine companions. They are considered working dogs and need chores to feel useful to their owners, to have a purpose, to feel important. For Dolce, the labor is in the pushing, the challenge is in moving one of us forward, and the reward is some well deserved lovin! LOL! Cuz she receives a ton of love from her momma & dadda!